Applications are now open for the 2019 Pegasus Health Workforce Development Scholarships. 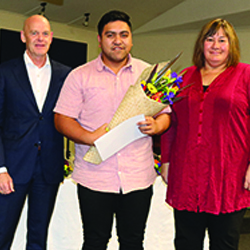 We invite students who identify as Māori, Pacific or from Culturally and Linguistically Diverse (CALD) communities, studying medicine, nursing or allied health to apply. More information plus the online application form can be found on our website.